Being my favourite animal, if there is any chance of wild dogs being found on the reserve, I am often the first to be out looking for them. However, I have noticed that my love for these animals is not shared by everyone else. In fact, a lot of guests have never even heard of these wonderful creatures, often confusing them with hyenas. So on that note, let me shed some light on the African Wild Dog and help give them the attention that they deserve and desperately need. They are not simply feral dogs either. They are a distinct species of Canid, Lycaon pictus, which literally means “painted wolf”. I recently learnt that the German name for Wild Dogs is Hyänenhund, which may account for some of the confusion between the two unrelated species. Furthermore, Dutch zoologist Coenraad Temminck was first to name wild dogs scientifically, calling them Hyaena picta, in the belief that they were a type of Hyaenid. Wild dogs are slimmer than hyenas, are almost always found in packs and generally always are a mix of white, tan and black. Hyena (spotted) are a tan colour, with dark spots, lacking the white of wild dogs and are much heavier set with a sloping back. No more getting confused! After the Ethiopian wolf ­- which occurs in very small numbers in isolated pockets in the highlands of Ethiopia. The African Wild Dog is listed as Vulnerable by the IUCN (International Union for Conservation of Nature), as the population numbers are so low. They are now found in only six of the 34 countries in which they once roamed freely. 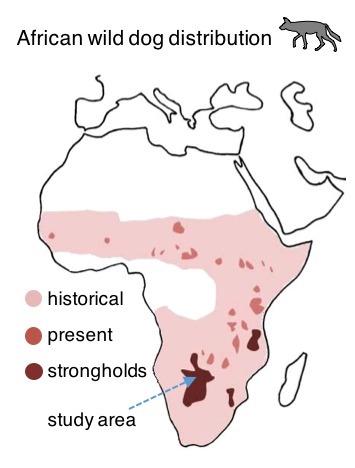 Population estimates are between 5000-6500 in Africa, of which only around 1600 are mature individuals. Furthermore, according to the IUCN, population numbers continue to decline as a result of habitat fragmentation, human-wildlife conflict and infectious disease. 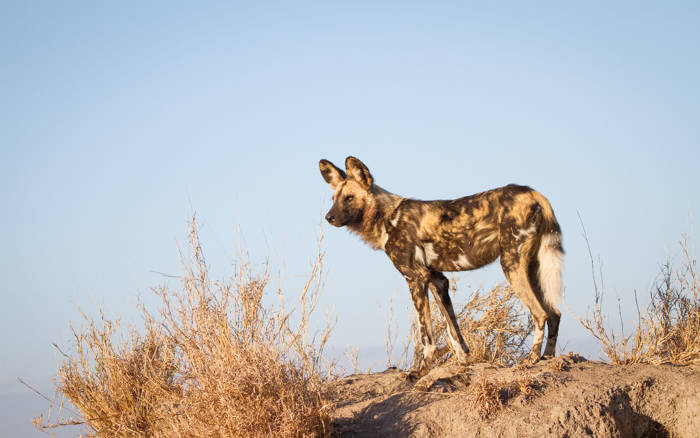 Thankfully there are several organisations that are dedicating their daily work to monitoring wild dog populations, changing public perceptions and ensuring genetic diversity is upheld across reserves in southern Africa. The highest ranked male and female dogs in the pack make up the alpha pair. This is the only pair to breed in the pack, with the rest of the pack assisting in rearing the pups. Other pack members will take turns in staying behind during denning season to guard the pups, and will regurgitate food for the pups after a hunt to keep them well fed. The alpha pair almost always lies in close proximity, or touching each other. The alpha male will also always urinate on top of where the alpha female has urinated, almost claiming ownership. 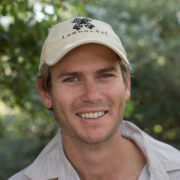 As comical as it may sound, researchers at the Botswana Predator Conservation Trust have provided recent evidence to suggest that a pack will suggest a hunt by sneezing. Higher ranked individuals have a more influential sneeze than lower ranked individuals. A series of sneezes could set the pack off after an impala! 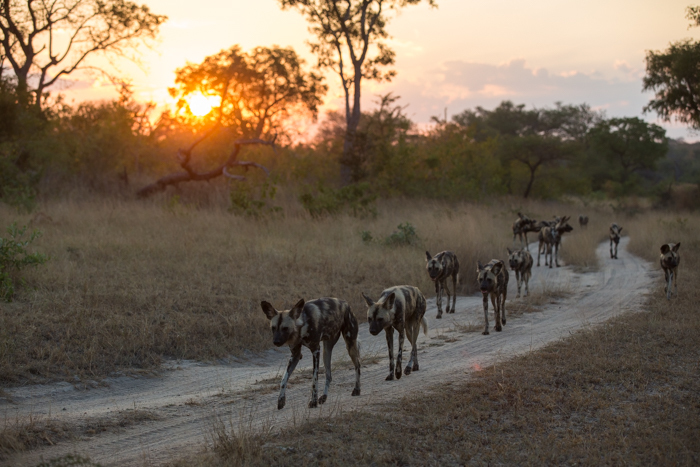 Although not yet well understood, it may be worth keeping an eye out for when next watching a pack of restless wild dogs that look like they may be getting active. Individual dogs have been observed to show different “personalities” or rather strengths and weaknesses within a pack. 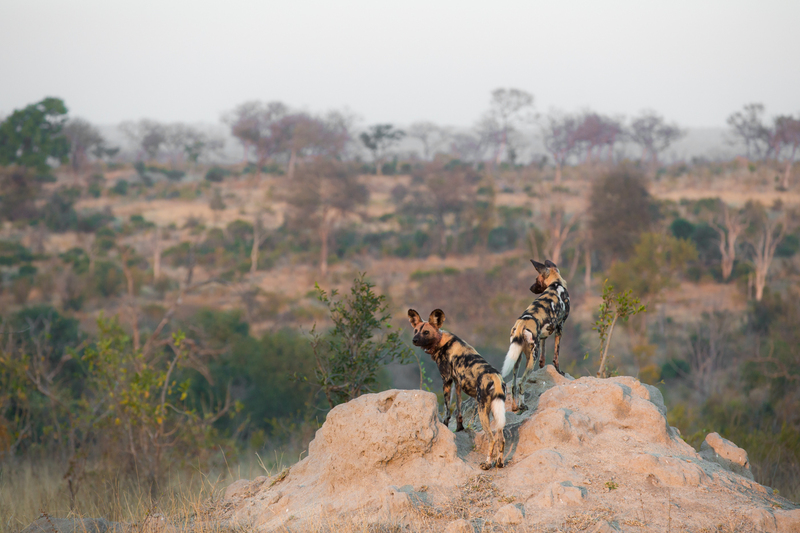 Wild dog researchers have observed that often certain individuals, other than the alpha pair, will take the lead in a hunt. This shows the complex nature of these animals of which we are merely touching the surface in terms of understanding. 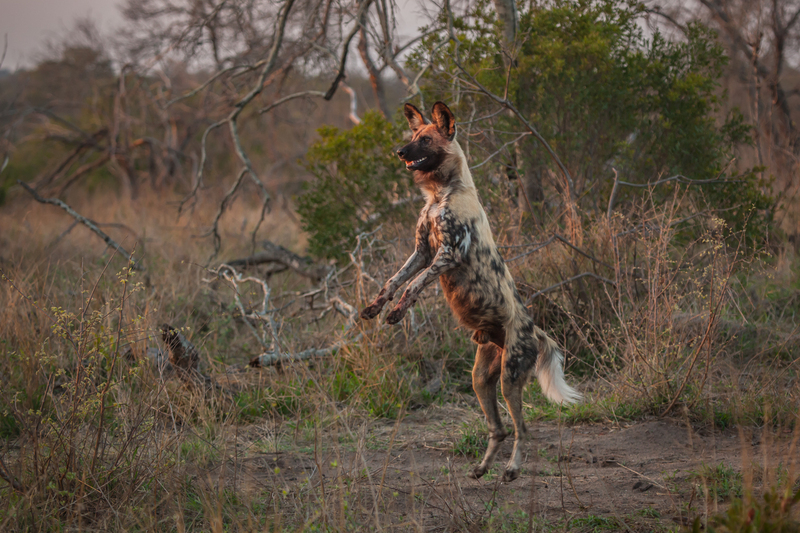 Although the field guides may overestimate the actual success of wild dog hunts, the dogs definitely succeed more than they fail. Some sources may state that dogs are successful on 70-80% of hunts. 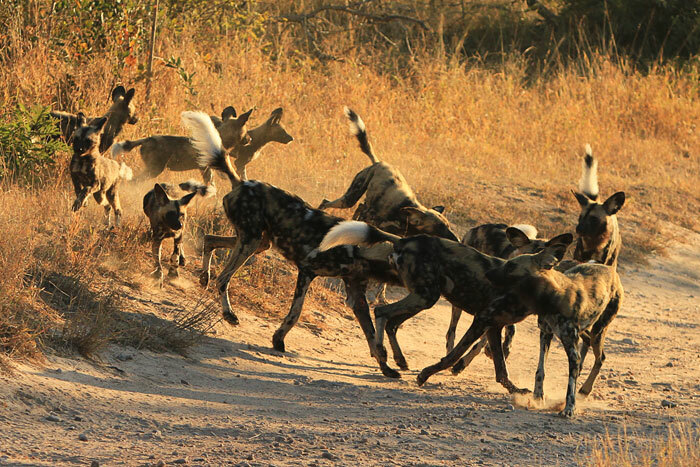 Although these statistics rely on many variables such as the size of the pack, the terrain in the area, the experience of the dogs and the density of prey, one can be assured that if you see a herd of impala running for their lives without letting out the characteristic alarm calls they use for other predators, there is a good chance a pack of dogs is trailing them at high speed! 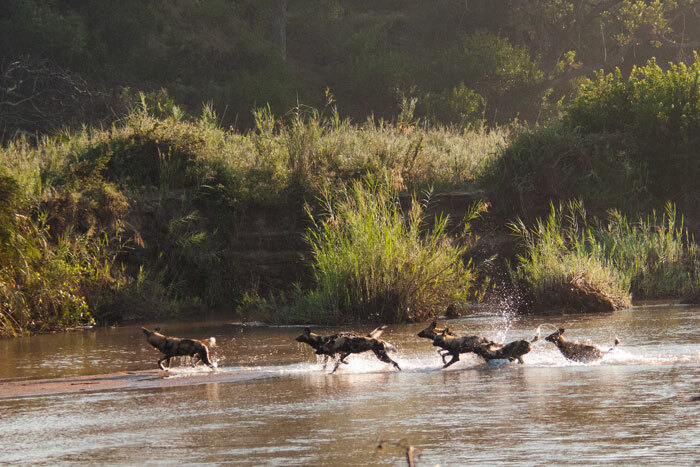 A pack running straight across the Sand River, mid-hunt. Dogs will often split up and run along river banks and thicket lines to try and flush out any potential prey. These dogs spotted an impala on the opposite side and proceeded to initiate a chase, eventually catching and feeding off the impala. People often ask whether wild dogs “bark”. The answer is yes. However, it is very unusual to hear them bark. They will only do so if they are startled at close quarters by a potential threat, but will not use a typical domestic dog-like “bark” as a regular means of communication. Other more common vocalisations include: “twittering” – a series of high pitched squeals let out in excitement particularly in greetings; and “Hoo-calling” – a unique series of owl-like hoots (Hoo-hoo-hoo-hoo) used to relocate other pack members when they have been separated while on the move, particularly after a hunt. This dog heard other members of its pack “hoo-calling” after being split up during a successful hunt. It proceeded to jump as high as it could to try and find the fellow members of its pack. 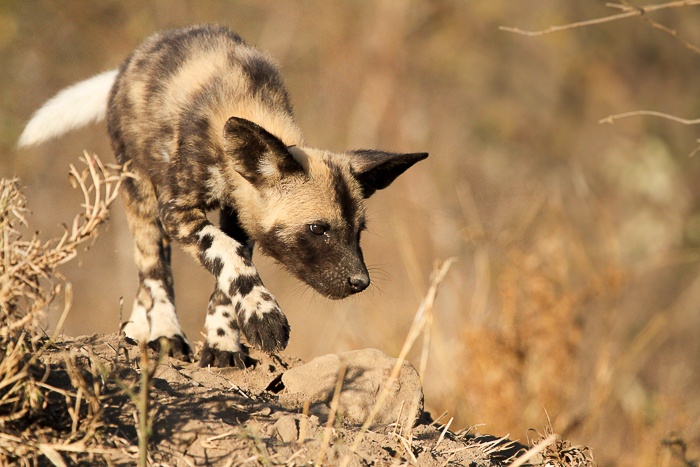 There are many more fascinating behavioural quirks unique to Wild Dogs… Best get out on safari and keep a look out for the flash of white on a wild dog’s tail as it hurtles through the bush, so that you can experience these wonderful animals for yourself! Wild dogs are my most favourite predator. 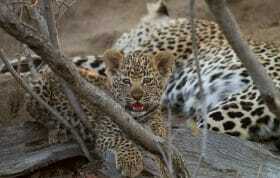 We do not see them often but when we do it is such a treat knowing how endangered they are. We had the privilege to see them hunt and kill. Regurgitating meat for their pups. Heard them barking when a hyena got to close. Running through the bush. Lying in the road where we could watch them early morning. Lovely blog Pete. They are special animals. Peter. I will be watching for the ‘sneeze’ next time! Thank you so much for doing a blog about The Wild African Dogs i absolutely love them and find them very fascinating and interesting. I think they’re beautiful! Please more about them this new year would be wonderful. Truly fascinating facts Pete. I remember seeing my first wild dogs in Chobe in 1996, after being told that many of them had died due to a disease circulating among the packs. Regardless, they were beautiful and actively hunting. I find them exciting to observe as they are quite active, even at rest. The non-relationship between them and hyenas makes me smile. 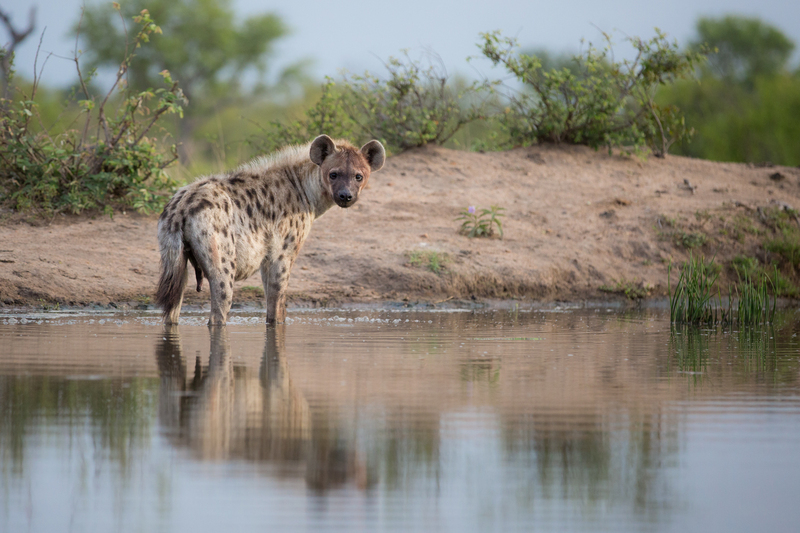 While in the Moremi Reserve this past year, we watched a single hyena try to infiltrate a pack in the hopes of joining their “kill” journey in order to reap the benefits. The dogs failed in their attempt to take down an impala and the hyena slinked off….. have to love watching animal behavior. 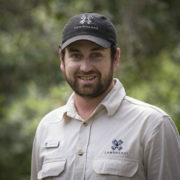 It’s good to know the dogs are thriving in Londolozi. Thank you for your report. As per #7, who knew that Wild Dogs twittered. Are they only now found in 6 countries? As a minimum ZA, Zim, Bots, Nam, Zam, Kenya, Tanzania, have these great creatures. You are right. There are in fact more than six countries in which they occur. I know dogs have been reintroduced in Malawi, to add to your list. Well done on picking that up. Thanks for this post – lots of great photos and great info! We were very lucky to see the wild dogs on the second day of safari. 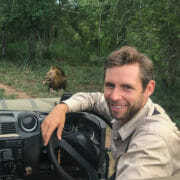 We set off with our ranger to find them and no one else thought they were around. 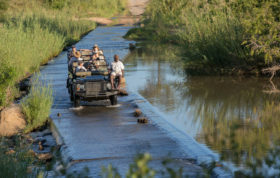 We first heard the hyena and wild dog fighting before we saw them. Then the chase was on as we spotted all of them running from different directions. We were so excited and so fascinated watching them!